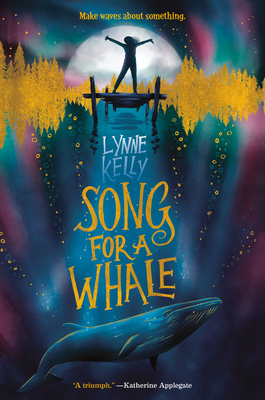 Song for a Whale (Hardcover) | Eagle Harbor Book Co.
What a wonderful Middle Reader story about a clever deaf girl and the lonely whale she desperately wants to tell, "You are not alone." Iris's "voice" is realistic and endearing, and her long-distance journey to reach the whale provides many opportunities for growth. Sure, parts of the story require suspension of disbelief, but ultimately this is a tale that successfully emphasizes the need to be heard -- and understood -- by others. Ages 8-12.